After a good album in 1995's "Spanner In The Works", Rod Stewart continued the good work with a solid album of cover versions of some contemporary songs, among others, that showed he could still cut it. Rather than revisiting music from his youth as he had previously liked to do, here was taking off some music of the time. It could have turned out quite embarrassing if he hadn't pulled Oasis's "Cigarettes And Alcohol" off, but, trust old Rod. He nailed it. It actually sounds great. It doesn't quite have the bombastic thunderous attack of Oasis, but it ain't half bad. The Faces' old standard, "Ooh La La" from 1973 is given a big, thumping, bassy and horn-driven makeover. Primal Scream's "Rocks Off" is great too - confident, pulsating, pounding. Proper rock. Nice one Rod. "Superstar" is a big, guitar-driven stately rock ballad that again suits Stewart down to the ground. Some lovely acoustic guitar in the middle of this. "Secret Heart" is a mournful, acoustic cover of a song from Canadian artist Ron Sexsmith. I don't know the original, but Stewart sings this beautifully. Graham Parker's "Hotel Chambermaid" is great, given a "Hot Legs" guitar riff of an introduction, a rumbling bass line and a rasping Stewart vocal. It rocks, big time. Stewart hasn't sounded as vibrant as this for a long time. It is great to hear. "Shelly My Love" is a Nick Lowe song and is given the syrupy Stewart treatment, but it still convinces, surprisingly. He can do no wrong on this album, hitting the high notes beautifully. 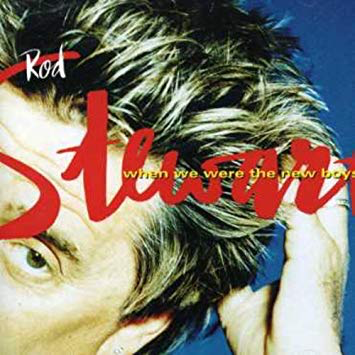 A Rod Stewart album is not one without a bit of nostalgic, sentimental anthemic stuff from Stewart and you get it here on the majestic title track as he once again recalls his glory days as a youth. The indie rock of "Weak" from Skin is once again covered more than credibly. It has to be said that Stewart's band and the overall sound on this album is top notch too. "What Do You Want Me Want To Do" from Mike Scott of The Waterboys actually sounds like a Rod Stewart song, both in its construction and lyrics. It is given some Springsteen-esque harmonica that enhances its feel. 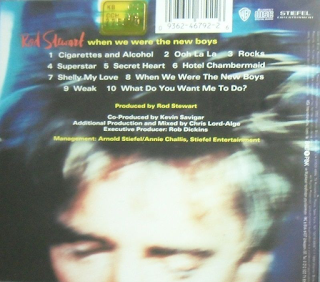 This is a really good album - one of Rod Stewart's best latter-day efforts and comparatively little-mentioned ones.